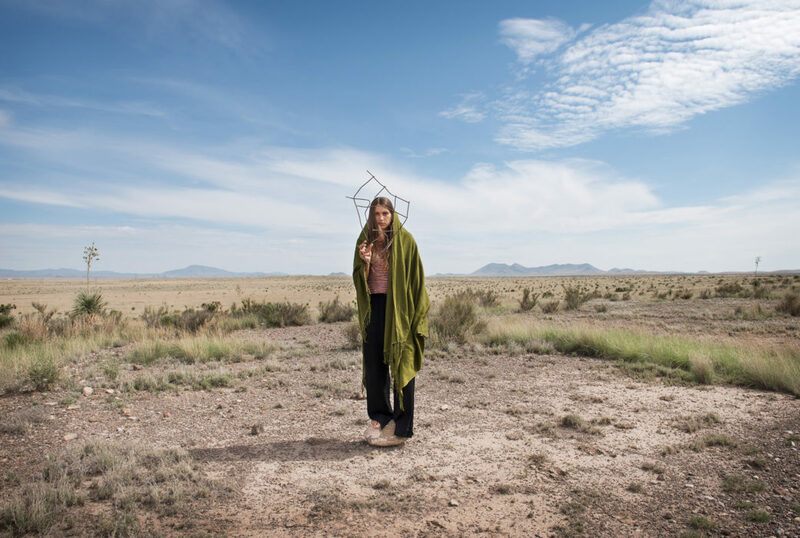 Border Land Other was a series of works initiated during K. Yoland’s four-month artist residency at Marfa Contemporary in West Texas. 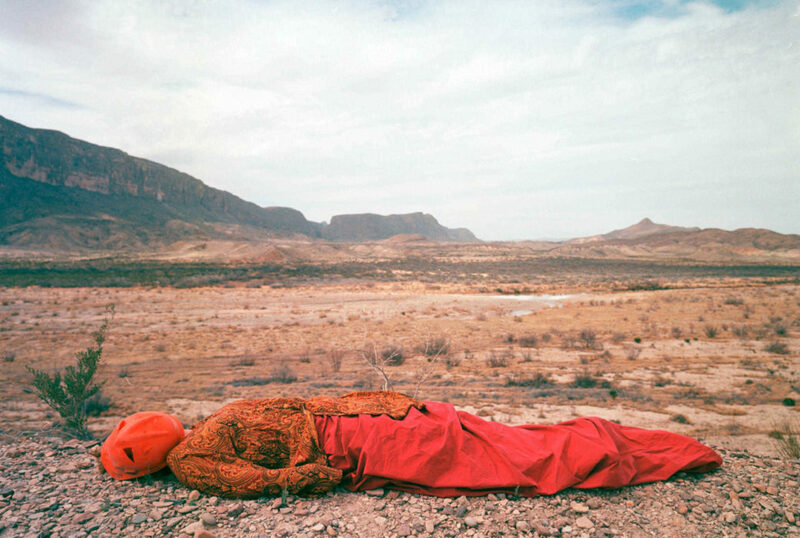 While on the border between Mexico and the United States, Yoland used video, photography, sculpture and performance to investigate sites of division and restriction. Yoland made several field excursions to the borderland, some by herself and others with border patrol guards, oil industry workers, and cattle ranchers. On these trips, Yoland observed the effects of natural and artificial boundaries upon these different groups. For example, when she was with the ranchers, she noticed how tumbleweeds passed freely through barbed wire fences or the national border. She also discovered this iconic plant of the American landscape is not indigenous, but rather, originated in Russia. Such paradoxes became a source of inspiration for this body of work and a means through which to investigate ideas about borders, invasion, migration and the alien. Barbed wire and the commonplace red paper used by construction workers in the area appear frequently. 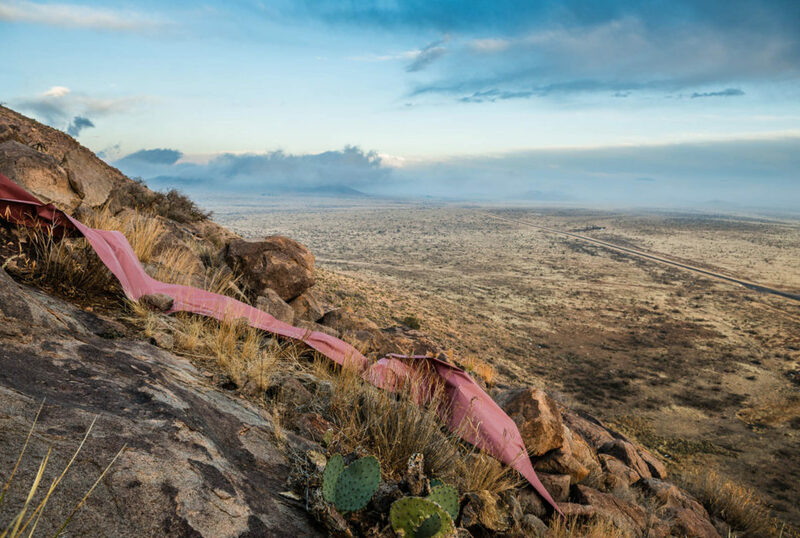 In response to the fact that ninety-five percent of land in Texas is privately owned, Yoland used these markers of division to delineate and conquer the landscape and the figures in it. She explore the importance of mapping and ownership as an attempt to assert control over the vast landscape and ourselves. Through performance, sculpture, photography and videos, Yoland’s work considers how the physical and conceptual demarcation of the land shapes our relationship to hierarchy, control and freedom. Open Now until 10 p.m. • April 20, 2019 @ 7:21 p.m.